A 3,100-square-foot Tudor cottage is probably not where one might expect one of the 20th century’s biggest icons to reside. 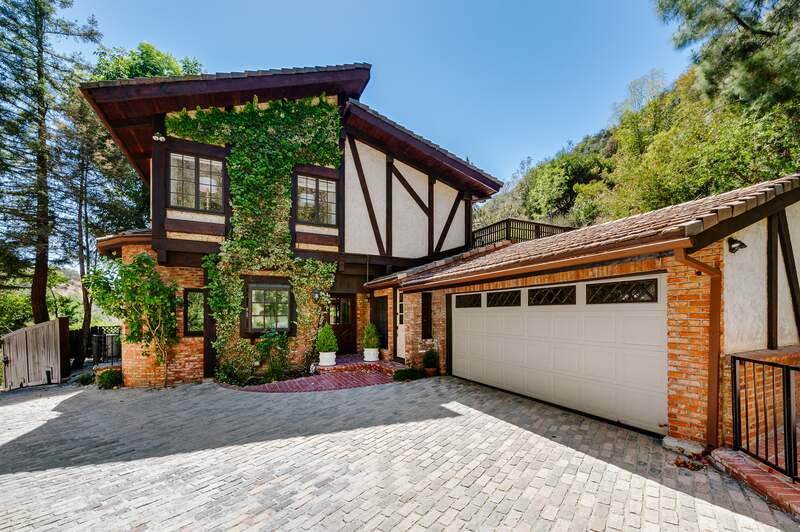 But there’s something about this rustic home in Beverly Hills that Cher loves—or at least, used to. According to Variety, the music superstar just sold her home for $2.1 million. Situated behind gates, the home is the perfect private enclave. It’s surrounded by trees and has a gorgeous backyard prime for soaking up the California sun. A wraparound porch seems like the perfect place to enjoy your morning coffee. Inside, the home blends rustic charm with modern luxury. Exposed beams run throughout, with wide-plank wood floorboards and several fireplaces adding to the character of the house. However, the residence is far from a quaint retreat: The master suite alone is enough to suit an A-lister. It includes an adjoining sitting room, a skylit bathroom, and the walk-in closet of Cher’s (Horowitz, that is) dreams. With four bedrooms and three bathrooms, there’s plenty of space for the new homeowners. The eat-in kitchen, though on the smaller side, includes a built-in banquette set against a wall of windows. It looks ready to go for a casual dinner party get-together or even a midmorning weekend brunch. The bones of the house perfectly lend themselves to a variety of design schemes. While we don’t know for sure what Cher went with, the listing photos show an eclectic mix of rustic and contemporary, with bright, punchy colors peppering almost every room. Here’s to whoever the lucky person is who gets to say they’ve shared the same view as a living legend.